In Part 1 of this article I provided the background regarding the phases of Fourth Turnings and where we stand nine years into this period of crisis. I will now ponder what could happen during the remainder of this Fourth Turning. The most important point to comprehend is the death of the existing social order always occurs during the course of a Fourth Turning. Thus far, those constituting the Deep State hierarchy have fended off their demise. They are utilizing every tool at their disposal to retain their wealth, power and control. As their mass media propaganda machine falters, they have redoubled their rigging of financial markets to promote a narrative of economic recovery, while further enriching themselves and their cronies. It is clear they have reached the peak of financial manipulation, money printing, and artificial interest rate suppression. The narrative is faltering. Their last and final option to retain power is war. As their “everything bubble” (stocks, bonds, real estate) inevitably implodes, civil and/or global military conflict will be utilized to distract the populace from their Deep State domestic disasters. The time for compromise is long past. There are no moderates left in the political spectrum. The mood of the country is clearly trending towards conflict. Trump, as the grey champion of this Fourth Turning, has proven to be a lightning rod of hate. He infuriates his political opponents, the left wing media, many in his own party, foreign leaders, billionaires and most worrisome to his well-being – the shadowy surveillance state intel operatives. His own FBI and CIA have been subverting his presidency and attempting to initiate his impeachment or as a last resort – coup. After running a campaign championing a reduction in foreign military intervention in the Middle East, reducing commitments to NATO and increasing cooperation with Russia, it appears Trump has been taken into a room and told the military industrial complex calls the shots. Trump has clearly made a self-preservation decision to avoid being JFK’d. The possibility of global catastrophe is not taken seriously by the vast majority of Americans. It’s been over seventy years since the last global conflict and most of the people who experienced the horror are dead. We’ve forgotten the past and are condemned to relive it, just as we do every eighty or so years. The lack of volatility in financial markets portends drastic levels of volatility as the perception markets can’t fall has lured Wall Street 30 something MBAs and the investor class into a sense of invincibility. Geopolitical tensions have been rising dramatically over the last few years, with religious extremism, oil, petro-dollar, historical rivalries and nationalism driving the world towards conflict. These extreme economic and geopolitical stresses are coinciding along the same timeline and will erupt simultaneously, catalyzing the climactic half of this Fourth Turning. With the House of Saud descending into madness as religious zealots, kings, princes, and foreign infiltrators vie for control of their depleting oil riches, and tens of billions in high tech weaponry provided by American arms dealers, a Middle East conflagration is a certainty. Iran has been winning the proxy wars in Syria, Iraq, and Yemen. Saudi Arabia and Israel are determined to stop Iran’s expansion at any cost. Mixing religious extremism, oil riches, gas pipelines, opium, egotistical dictators, nuclear bombs, hatred and territorial ambitions into the deepening militaristic global mood change is destined to spark a chain reaction of unintended consequences and unyielding responses. The next Middle East war will not be a proxy war. It will be a fight to the death. You need a scorecard to figure out the alliances, opponents and wildcards. Iran appears to be aligned with Iraq, Qatar, Syria, Hezbollah, Yemen, and Russia. Saudi Arabia appears to be aligned with Israel, UAE, and the United States. Various factions, who include Turkey, ISIS, Al Qaeda, and the Kurds, are fighting one or more of these parties. In many cases the enemy of my enemy is my friend applies. Peace and compromise are out of the question at this point. It’s just a matter of who pulls the trigger to kick off the fireworks. It looks like Saudi Arabia is willing to gamble everything on a final showdown with Iran. Once the shooting starts and the U.S. and Russia are sucked in, all bets are off on what happens next. Diplomacy will not be an option. This scenario presumes a Korean conflict doesn’t happen first. With reckless actions on the part of Kim Jung Un and reckless rhetoric from both sides, the odds of a Korean conflict are the highest since the 1950s. With three carrier groups sitting off the Korean coastline, just one provocative act or mistake could unleash a fusillade from both sides, killing hundreds of thousands in a matter of days. Global treaties, alliances and economic realities are pushing global powers in unforeseen directions, just as this Fourth Turning enters its most dangerous phase. Human failings are the constant throughout history. But, human failings resulted in 50,000 deaths during the American Revolution Crisis. They could result in hundreds of millions of deaths during this Crisis. The U.S. and Europe’s provocative actions with NATO forces surrounding Russia, the ongoing Ukraine civil war, the Syrian civil war, and false accusations of rigging the U.S. presidential election have pushed Russia into a closer alliance with China. Saudi Arabia has also strengthened ties with China, as the debt financed shale oil boom has lessened U.S. purchases of OPEC oil. The EU is falling apart, as debt creation has failed to revive economies, governments are bankrupt, Muslim hordes destroy their social fabric, and a revolutionary spirit is in the air. 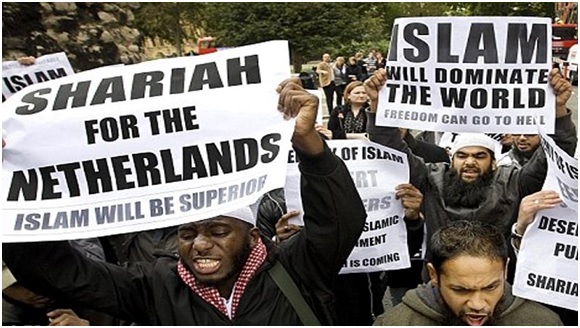 Germany, France, Sweden and most of Europe have signed their own death warrant by allowing their countries to be invaded by millions of young Muslim men intent on destroying their way of life. Global disorder is expanding exponentially and is surely leading towards war. War will either be the trigger for the forthcoming financial crash or a direct result of the forthcoming financial crash. The core elements of this Fourth Turning (debt, civic decay, global disorder) are going to juxtapose and connect, accelerating into a chain reaction of chaos, civil uprising, global war, mass casualties, the fall of empires, and ultimately the destruction of the existing social order (aka Deep State). When Americans see their wealth vaporized for the 3rd time in less than two decades by the same criminal bankers and corrupt politicians, they will not forgive, forget and bail them out again. They will seek out the guilty and make them pay through street justice. 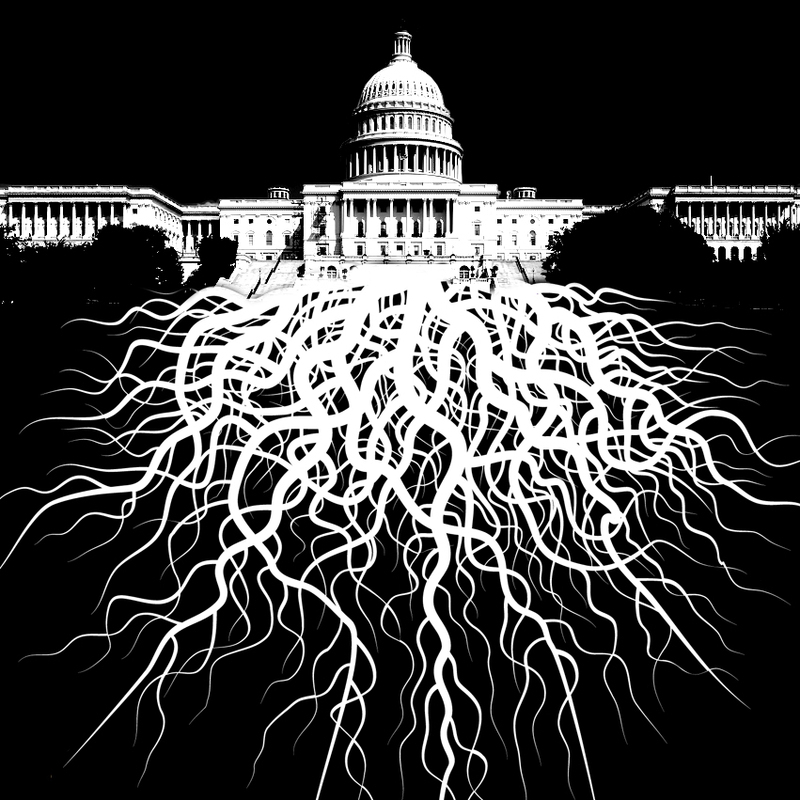 The fraudulent Deep State controlled scheme is beyond redemption and must be destroyed in order for a Constitution based free market system to be reintroduced. The result could also be dictatorship or worse. The outcomes will be determined by the actions we take as citizens. With a debt inundated global economy already slowing; panicked central bankers beginning to take their foot off the accelerator; massively overvalued stock, bond and real estate markets; consumers in debt up to their eyeballs; stagnant wages; rising inflation; currency and trade wars heating up; deficits rising again; and gridlocked legislative bodies, the onset of war in the Middle East would cause oil prices to skyrocket and trigger the stock market collapse 3.0. At this point, even the slightest hint of wage inflation causing interest rates to rise even modestly would prompt a market meltdown. The perfect storm is headed our way. The triple threats of debt, civic decay and global disorder cannot be avoided. We can’t defy the chaos set in motion by the cyclical nature of history. The seasons cannot be reversed, so we must brace ourselves for the oncoming storms. There are no guarantees or certainties regarding what happens over the remaining decade or so of this Fourth Turning. Don’t believe God will exempt our empire from the tragedies that have befallen past empires. Debasement and total ruin are not inconsequential possibilities. Hubris, arrogance, decadence, and debt have devastated previous global empires and are present today in copious quantities as the American Empire enters its critical threshold of national survival. There are a myriad of internal and external competing forces which threaten both the status quo and very existence of our nation. There will be moments of extreme danger and severe threats in the coming years. I do not consider the Russian people or the Chinese people my enemies, but my government will attempt to convince us to go to war against them, in order to maintain their empire. Human nature has not changed over the course of history, but the technological advancements in warfare have placed the ability to obliterate the planet into the hands of weak minded malevolent men, whose egotism and thirst for power know no bounds. Human flaws and frailties could endanger the world and its inhabitants. Do you trust the leadership of your country to do what’s in your best interest? I do not trust my government. I do not trust the puppet politician front men for the Deep State. I do not trust the mega-corporations who dominate our economy. I do not trust central bankers and their Wall Street owners. I do not trust the fake news corporate media. I do not trust the military industrial complex. I do not trust the leaders of organized religion. I trust my own instincts, reasoning ability, and critical thinking skills. I trust my immediate family members. I trust some of my neighbors. I trust more of people I’ve met through my blog than I’ve met face to face. I trust normal people living normal lives across this once great country. I trust the people who distrust the people and things I distrust. As events spiral out of control, we will need to pick and choose our friends carefully. If or when the government attempts to force my three sons into a war on behalf of the vested interests to retain their wealth and power, I will resist with every ounce of strength in my aging body. They will not become cannon fodder for the Deep State. We don’t know the events and path which will drive the remainder of this crisis, but we do know our choices will matter. This is no time for apathy and complacency. For those who grasp generational theory and the cycles of history, the seemingly unbearable slowness of this Fourth Turning is actually a blessing. The slowness allows more time to prepare. If you haven’t prepared for the coming saecular winter, time is growing short. The skies are darkening. Our rendezvous with destiny awaits. “Reflect on what happens when a terrible winter blizzard strikes. You hear the weather warning but probably fail to act on it. The sky darkens. Then the storm hits with full fury, and the air is a howling whiteness. One by one, your links to the machine age break down. Electricity flickers out, cutting off the TV. Batteries fade, cutting off the radio. Phones go dead. Roads become impossible, and cars get stuck. Food supplies dwindle. Day to day vestiges of modern civilization – bank machines, mutual funds, mass retailers, computers, satellites, airplanes, governments – all recede into irrelevance. Picture yourself and your loved ones in the midst of a howling blizzard that lasts several years. Think about what you would need, who could help you, and why your fate might matter to anybody other than yourself. That is how to plan for a saecular winter.